Asphalt has been used for many years because it is practical and more inexpensive than other material; however, many find it rather plain. All of that has changed now that pavement stamping has come upon the scene. The installation is often very fast. Your driveway or project area will experience very little downtime which means less disruption to your busy life. You can choose from many patterns and colors to create your own custom look with a Monterey and San Benito County asphalt stamping and paving contractor. Asphalt also handles climate changes well making it last longer. It is structurally sound which prevents it from shifting with weather changes like freezing and thawing cycles which may affect other surfaces. Because asphalt doesn’t have seams, you are less likely to have issues with weeds growing through it. Another bonus of asphalt is that it doesn’t react to salt. Whether salt is used for deicing or you have salt from living in a coastal region, asphalt is not affected. Many good asphalt companies can offer you a complete line of decorative products for paving. The potential for designs is equal to or greater than the choices with stone and brick which are more expensive. 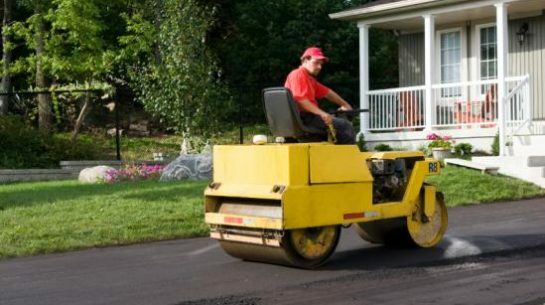 Your contractor will install your asphalt stamping and paving so that it is not only attractive but durable. The end result will be a visual statement that makes a positive and memorable impression. You will love your finished asphalt stamping and paving job. It is easily repaired requires very little maintenance. It also has invisible seams. The colors are stable and will last for years. There is an unlimited choice of patterns and logos. You will especially appreciate the low costs. How do you find the asphalt stamping and paving company that is right for you? You need research and good information so that you can be confident in your choice of an asphalt stamping and paving company in Monterey County and San Benito County in cities including Salinas, Seaside, Monterey, Soledad, Marina and Hollister. Not all Monterey County and San Benito County asphalt stamping and paving companies are alike. They have different skills, varied degrees of experience and philosophies and offer different services. You have a right to choose a qualified and honest asphalt stamping and paving contractor in Monterey County and San Benito County. By researching and choosing carefully, you can choose a contractor that will install your asphalt stamping and paving correctly the first time. All Diamond Certified companies have already been thoroughly researched for you, including license verification. However, if you’re unable to choose a Diamond Certified asphalt stamping and paving company in your area of Monterey and San Benito counties, you’ll have to do the research yourself. 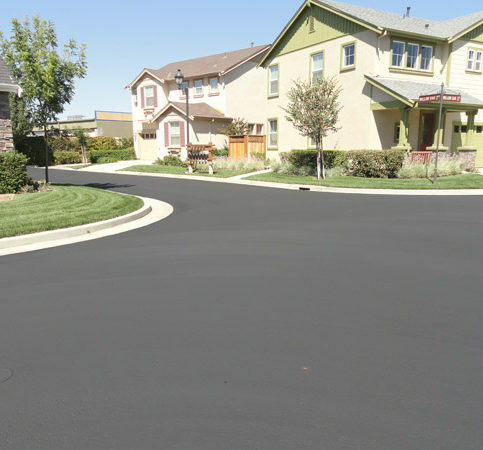 The right asphalt stamping and paving contractor in Monterey and San Benito counties will add value to your home by creating new, unique driveways, patios or paths. And when you have a good base for your driveway and do regular maintenance, it will last for many years. Once you have decided to install asphalt stamping and paving for your project, you may be in a hurry to get started. But it is in your best interest to take your time. Spend some time researching local asphalt stamping and paving companies to find the one that will work best for you. While it’s best to simply choose a Diamond Certified asphalt stamping and paving company because of their Highest in Quality rating, it may not be possible. If you’re unable to choose a Diamond Certified contractor in your area of Monterey County and San Benito County, you can improve your chances of hiring a good asphalt stamping and paving company by checking out other contractors on the Contractors State License Board website to ensure they have active license and workers’ compensation insurance. You can see any violations and license revocations on their license record. It is also important to know if any serious customer grievances and complaints have been filed with the state. You will also want to verify additional company credentials. Asphalt and stamping paving contractors who are members of local organizations and associations may offer better service, and you’ll be able to see their past records, including any complaints and legal action.